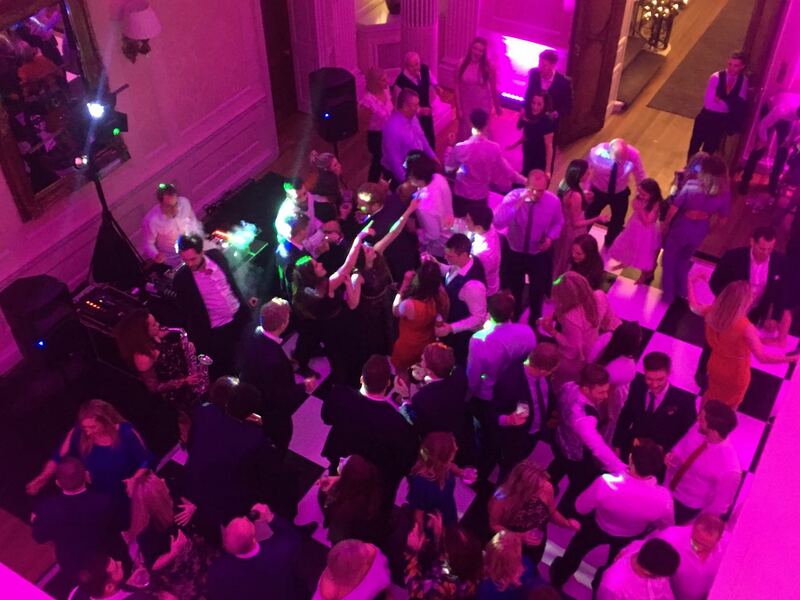 Welcome to STYLISH Entertainment, we specialise in bespoke, creative wedding lighting, transforming venues, marquees and outdoor spaces. 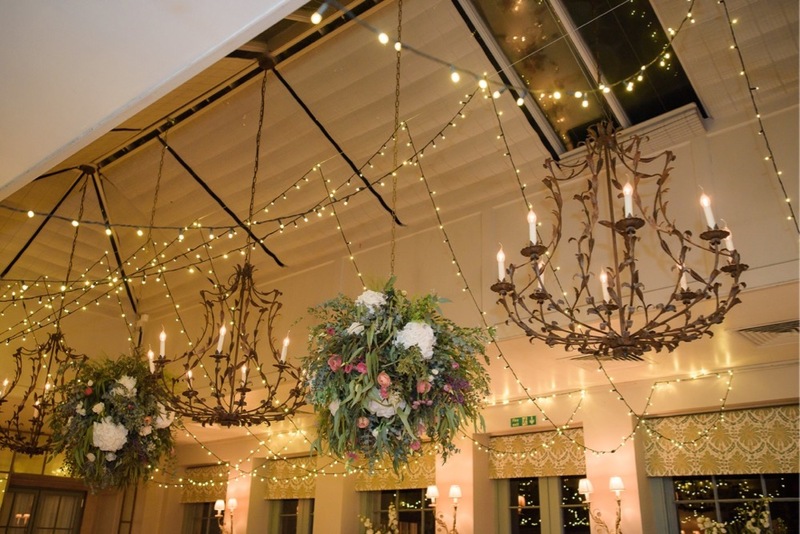 Babington House Orangery with beautiful floristry and lighting by STYLISH Entertainment. 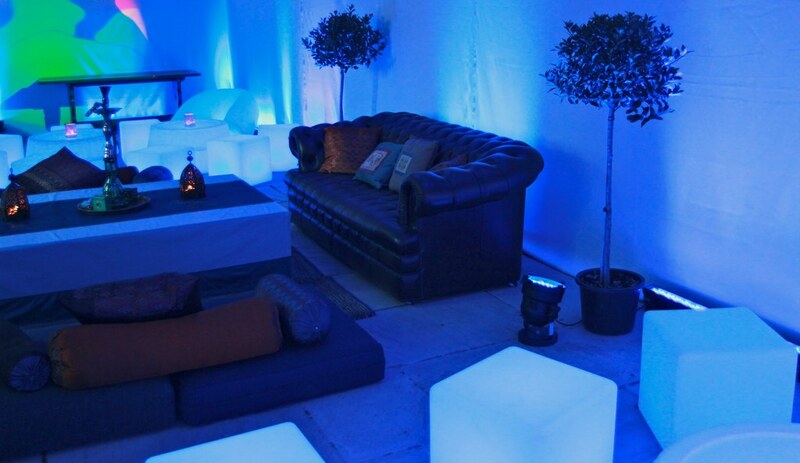 We combine our experience in Theatre, Weddings, Parties and Events to create picture perfect spaces wherever our team install our lighting. Below are images of our recent work and an examples of what we can create for you. 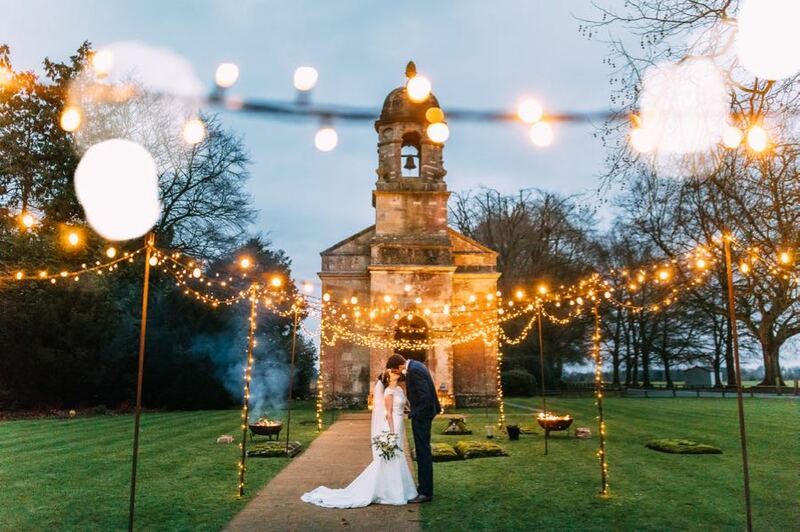 Lovely shot from Especially Amy Photography of our Free Standing Canopy with fairy-light and festoon. 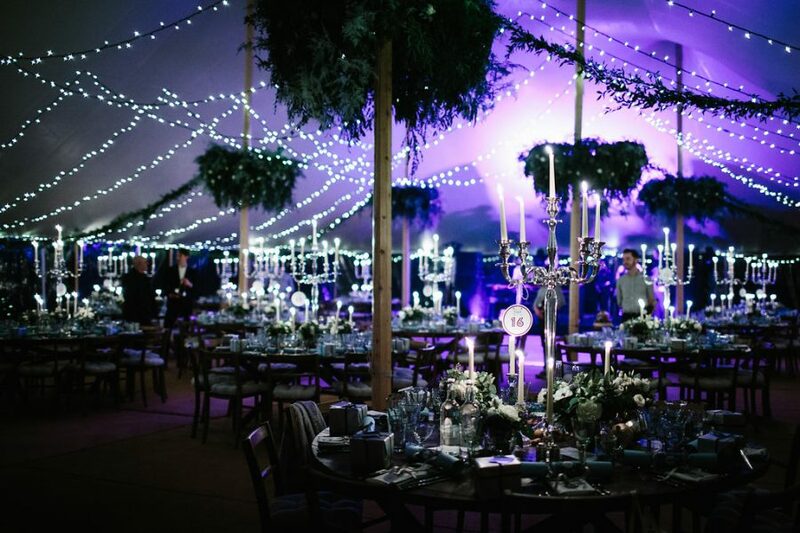 Soho Farmhouse, Oxfordshire with the beautiful Sperry Tent, fairy-light canopy and LED lighting. 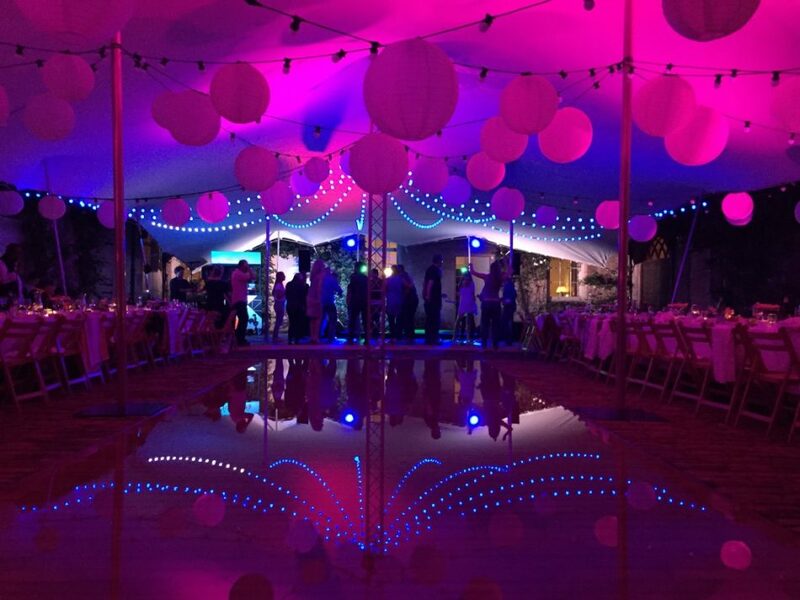 STRETCH MARQUEE WITH NEW INTELLIGENT FESTOON AND PINK LED UP-LIGHTING. 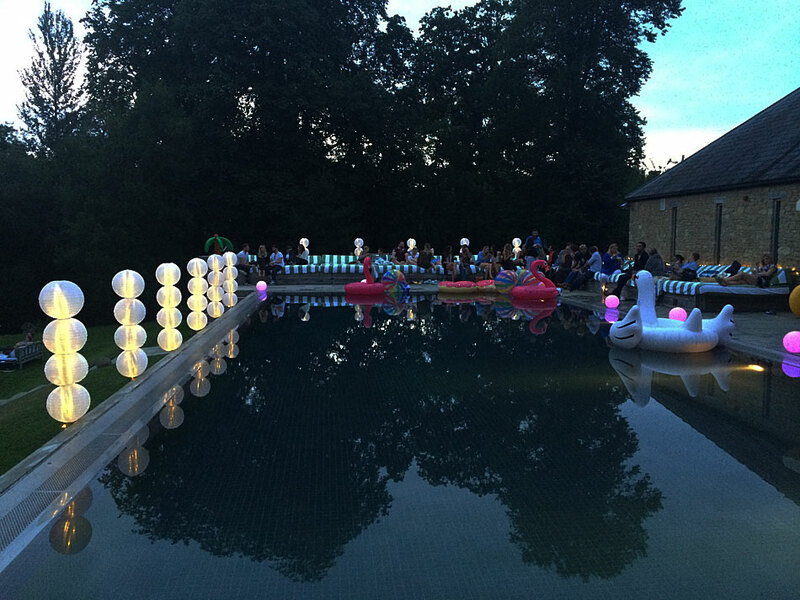 A water feature in your venue is a must! 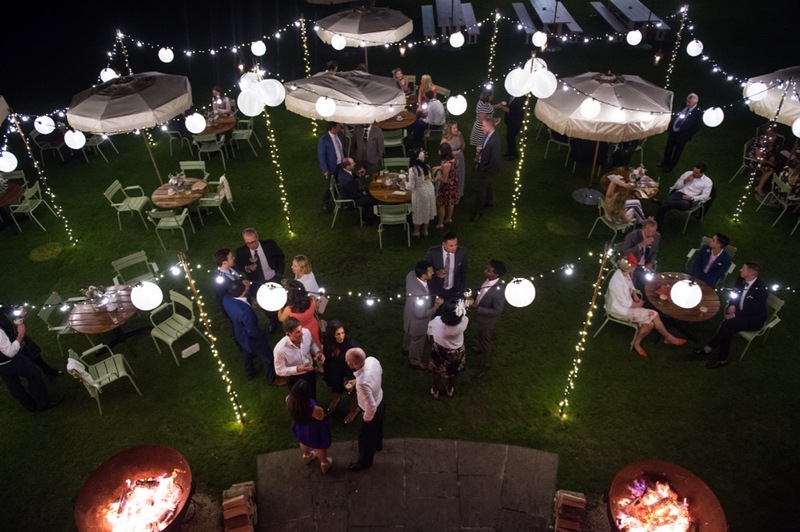 Combining Festoon lighting and shades, up-lighting and intelligent Festoon. 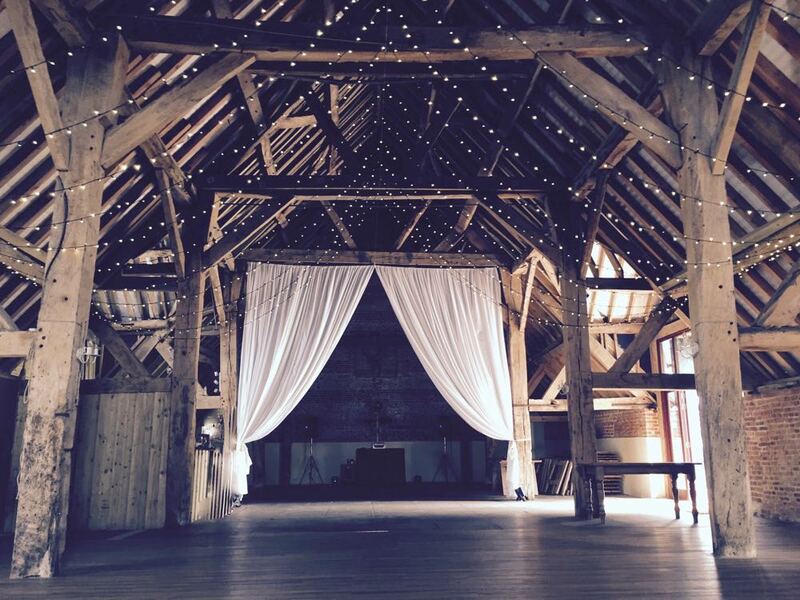 Wick Fam near Bath is a beautiful barn style wedding venue. 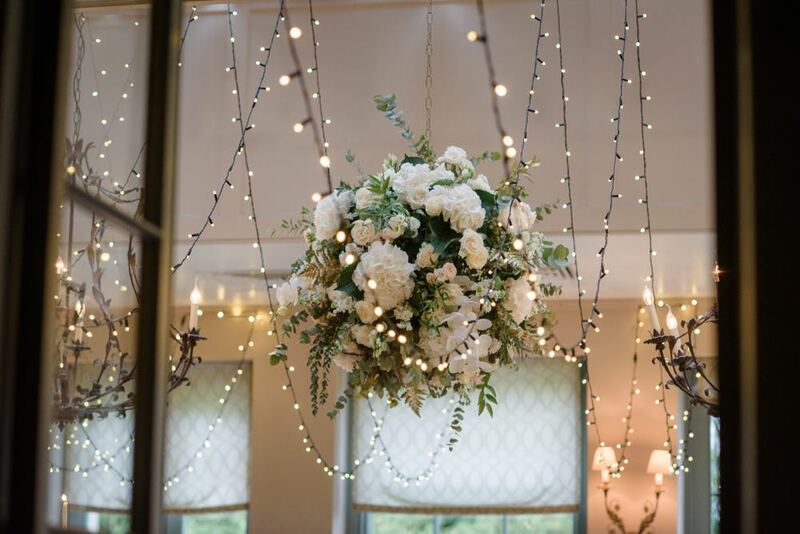 We created this Star Burst canopy with warm white light. 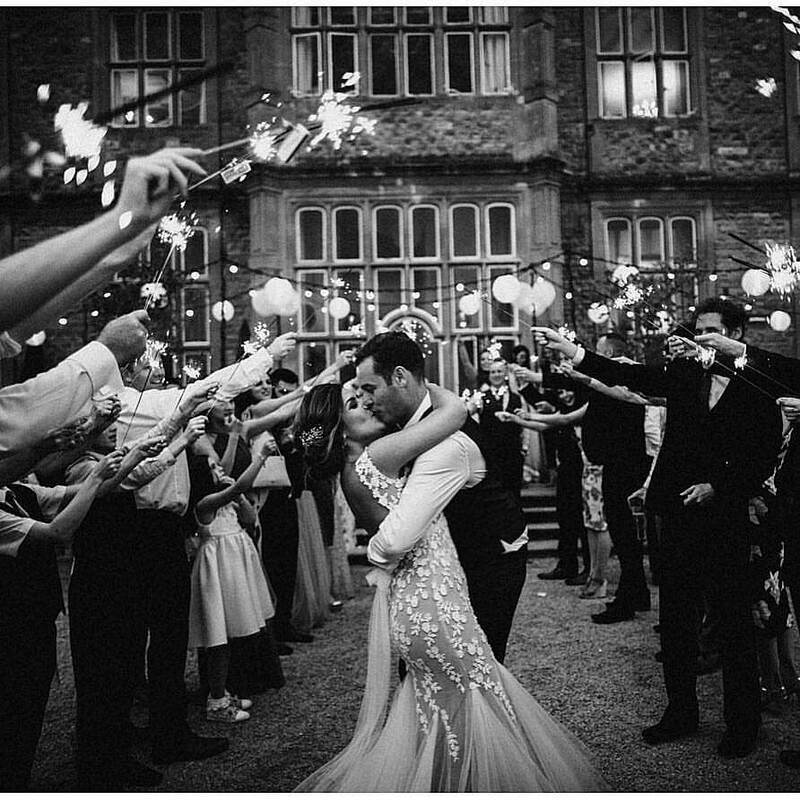 This is Alex and Erin on their wedding day at Babington House in Somerset. 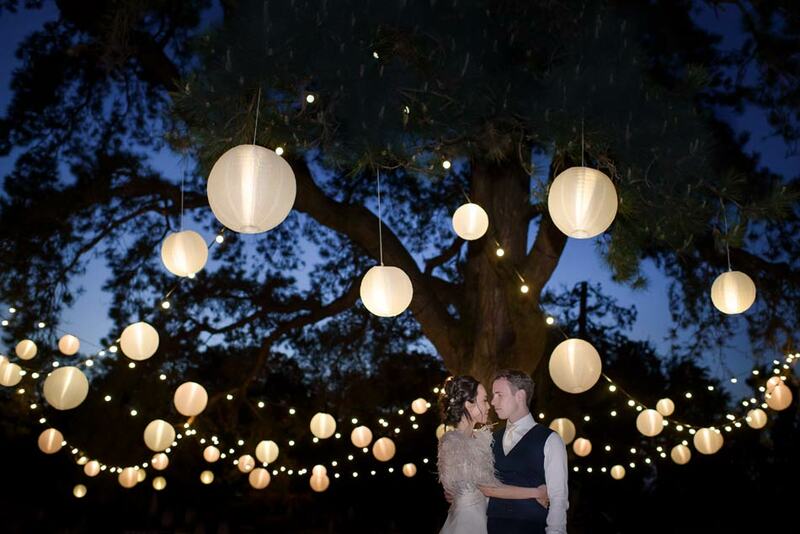 A beautiful image from Ria Mishaal of the couple underneath our striking lighting. 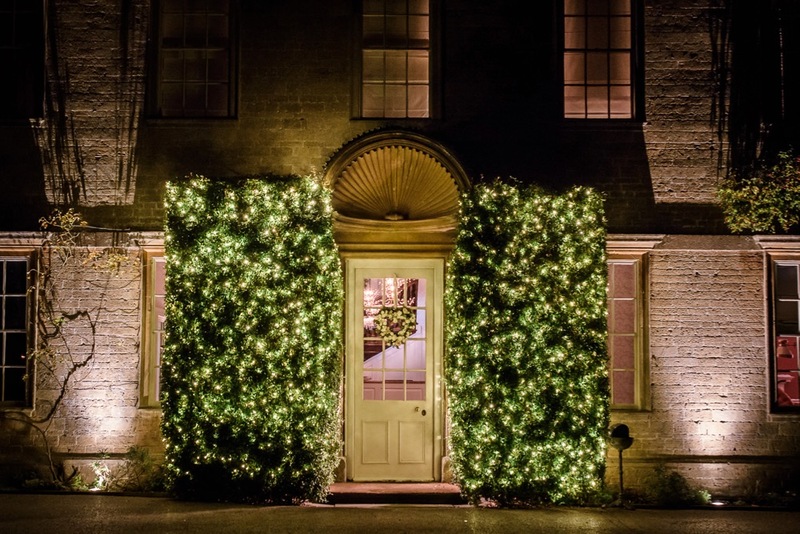 Combining lighting and floristry which transforms this beautiful venue. 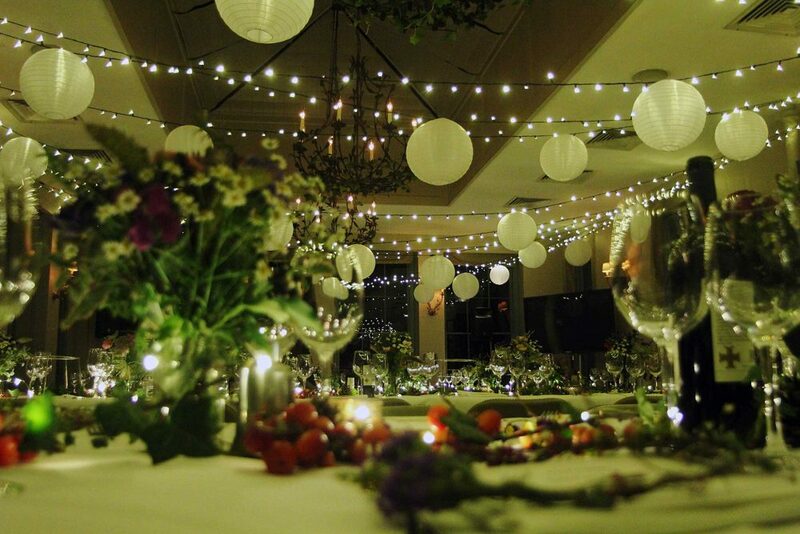 A canopy of fairy lights in warm white with additional round shades to create an intimate dining experience for your guests. We created this for Jamie & Jools Oliver. 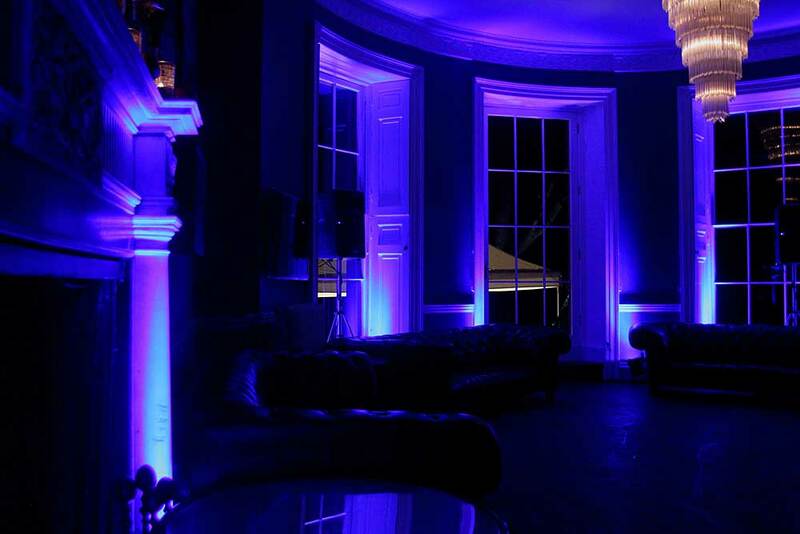 This is Magenta LED up-lighting in the bar at Babington House Hotel. Add a touch of twinkle to your bushes, trees or foliage. We can light trees, bushes, shrubbery, swimming pools and anything else! 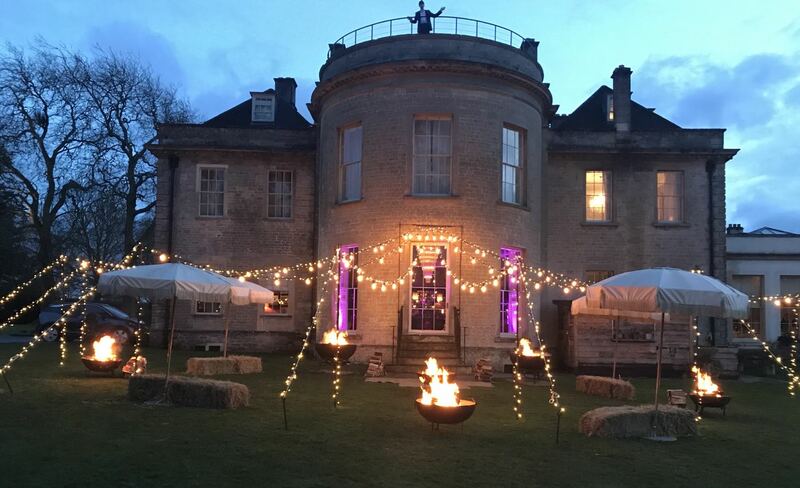 Eynsham Hall Hotel in Oxfordshire with our Free Standing Canopy on the terrace. 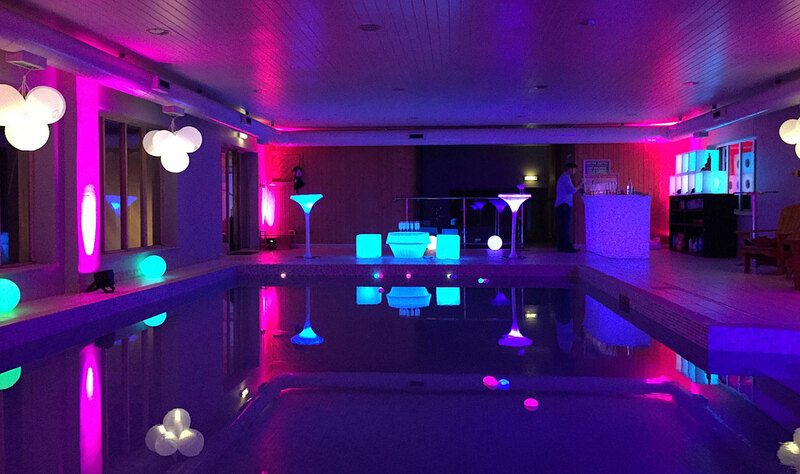 Swimming Pool with added Cocktail Bar, Lighting, Shades and LED Furniture. If you have a swimming pool, we can create this for you. 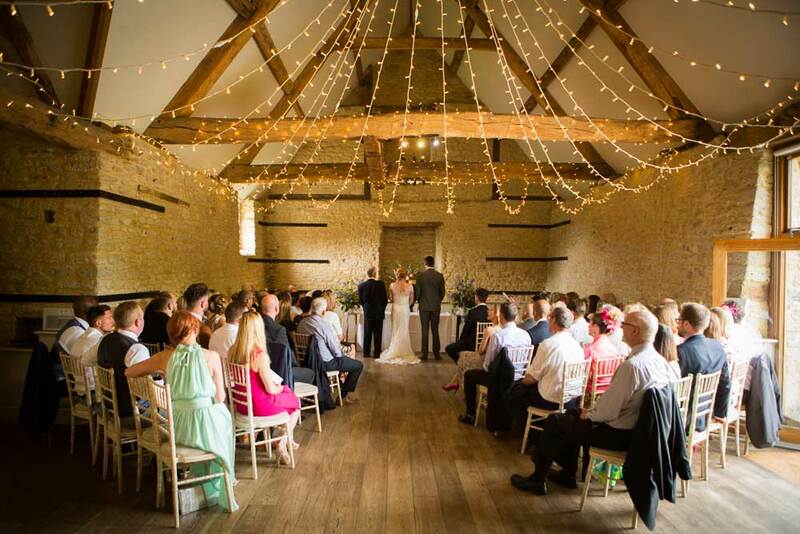 We can offer our wedding lighting design and install service in Somerset, Wiltshire, Dorset, Devon, Gloucestershire, Bath, Bristol, Frome, Wells, Wincanton, Chippenham, Salisbury Malmesbury, Cirencester. Contact us with your location and requirements. We can also offer a site visit.